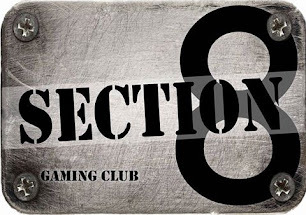 So I'm JB, and I'm a member of Section 8 Wargames club, same as Daveco and Stonedrose. Like the other guys I'm into a lot of wargames, but unlike the rest I'm a regular Roleplayer as well as wargamer. Anyway onto the toy soldiers. So recently I decided to mix up my 30K collection with a new army. That army is World Eaters. I'm an Iron Warriors player by trade but I really needed to paint something that wasn't just metal, and after reading Black Library's "Betrayer" I knew exactly what to go for. Going has been slow to be honest, getting the motivation to paint a white infantry based army has been a challenge. That said I'm very pleased with my initial results. 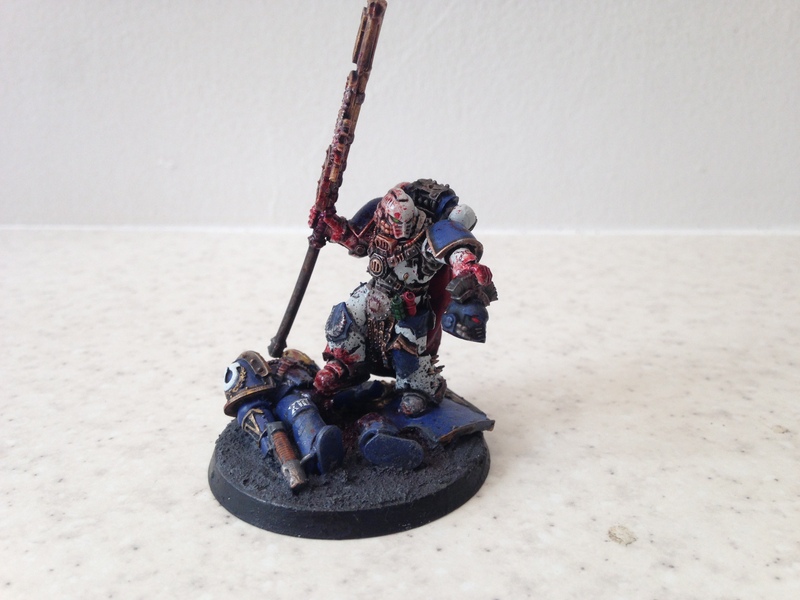 So this angry looking bloke is going to be my Legion Herald. 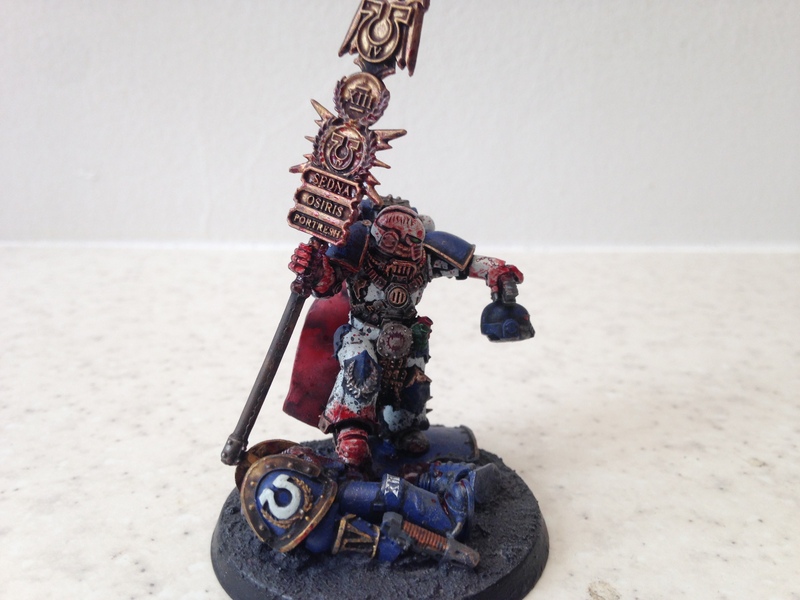 He's been made by using a mix of mkIV parts, and the GW/FW Ultramarine Banner bearer. I really liked the idea of a fallen enemy banner being just as inspirational as one of your own Legions. This seems especially appropriate for the World Eaters. 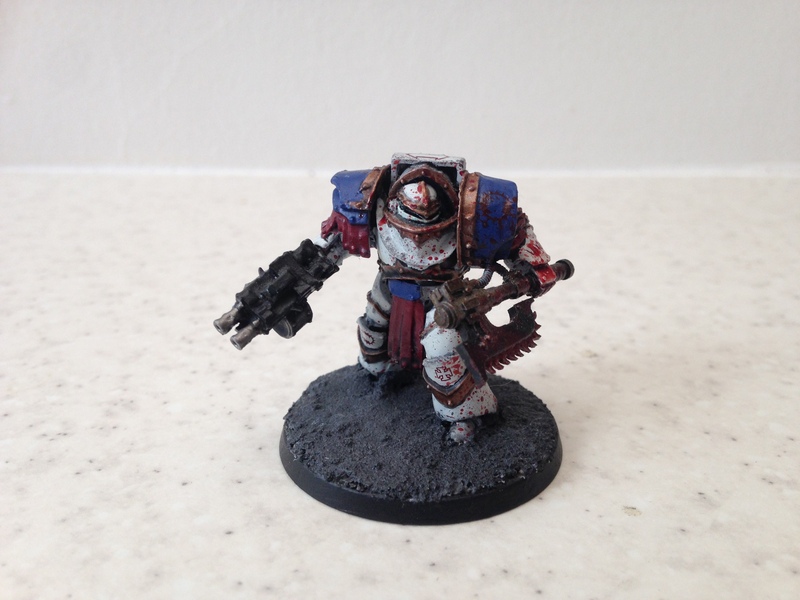 To close, here's a recently finished Terminator. More to come soon. I think the WE are up there with the SoH for the best scheme. They look great. Are you going to have a large squad or two of mad ravenous close combat troops? Reavers? Not sure of their name, seen them on a video batrep and they were awesome. Beautifully done! White is a surprisingly challenging color to paint and you've done a great job with it. Looking forward to seeing more!